Flexo pre-press for the ttPDF means analyzing 20 features for managing the plate for flexo printing. Suggests, irrelevant for the analysis. Only one page per PDF is allowed. 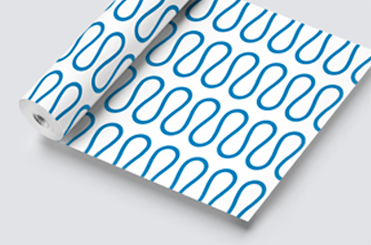 Flexo printing work-flow includes a single file per job. If the number of pages is greater than 1, the system returns an error message as no provision is made for multi-page PDF analysis. Should there be more pages, we recommend that you upload more files, 1 file per page. With Flexo 24, you can order multiple jobs in a single order. This message is displayed when the generation from ArtPro or Illustrator (or others) has failed and the resulting PDF is not compatible with the software online for PDF analysis. In case please try again. 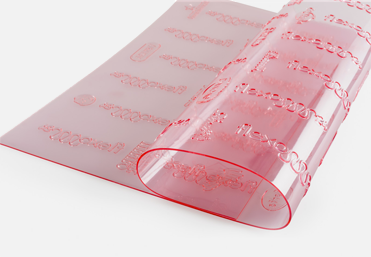 Or read the article about flexo printing on how to prepare the PDF for the flexo plate. RGB or LAB images and objects are not allowed. The only colour profiles supported are CMYK or Pantone. 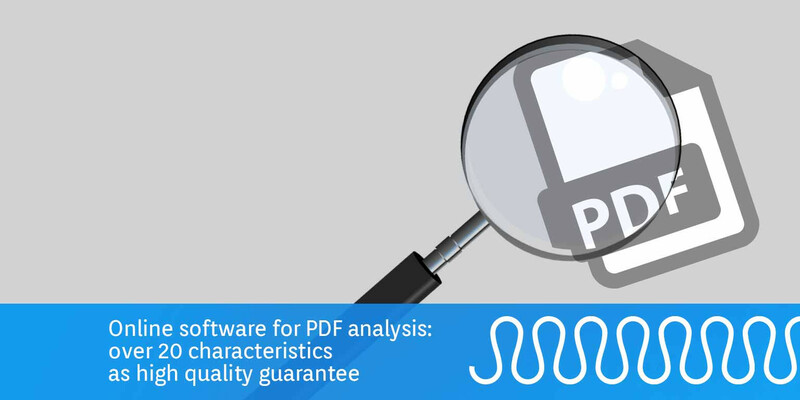 For objects or images with other specifications, the software online for PDF analysis does not load the file. We recommend you recreate the project by including only images and objects with the required characteristics. No data input fields. No active notes. No multimedia objects. Acrobat Reader DC allows you to insert both notes and text fields (forms) to be filled-in into the PDF. They are usually used for corrections or questionnaires. The PDF to upload with the software online for PDF analysis must not include notes or data input fields. The inclusion of videos or other multimedia objects will also return an error message. As it is an essential PDF for generating plates for flexo printing, you will have to re-generate and upload it again. If the fonts are not included, the process returns an error message due to result variability. Before generating the PDF, we recommend you convert them into curves to avoid unexpected results, or generate the PDF with the fonts embedded. For details, please refer to the software that generates the PDF. The size must not exceed 127 x 203 cm, 50"x 79.92"
If the longest side of the uploaded PDF exceeds this size, an error message is returned. This condition also applies to the shortest side. Please pay particular attention to images and their resolution. The images included in the PDF from which the plate is to be made must not have resolutions of lower than 200 dpi, 42 LPC, otherwise the online software will block the calculation. TEXT DIMENSION NOT UNDER 4 PT, IF IT IS IN A SINGLE CHANNEL. Even if the current legislation prefers characters above 0,9 mm (0,035''), the analyzer returns a notice for texts less than 4 pt, which may be illegible. Sample printing must always start by keeping pressure to the minimum. Please note: this check will be automatically inhibited if texts are converted into curves. Before generating the PDF, make sure the converted text is present only in one channel or color. Lines should not be thinner than 0.1 mm if it is in one channel. The Thickness of the line present only on a channel / color must not be lower than 0,1 mm (0,039”, o 0.283 pt). Pay attention to image sizes and grayscale images. Images with an area of less than 100 pxq are not recommended. Lines should not be thinner than 0.1 mm and present in different channels. A line thinner than 0.1 mm (0,39”, o 2.83 pt) and present in two channels generates warnings and suggestions. The online software will not be blocked. You can decide whether to proceed with the purchase of the plate. Text not 10 pt smaller and present in 2 channels or different inks. This warning is showing in case of text smaller than 10 pt and present in 2 channels or different inks. Warning: this control will be automatically inhibited in case of converted text. Check before creating PDF if the converted text is present only on a channel or ink. Recommendations for getting the most out of the software analysis. If the PDF for flexo printing has been generated maintaining the layers active, a suggestion for the optimization of the project will be returned. Uploading a PDF with active layers increases the response time of the analyzer calculation. Pay attention to transparencies and ICC profiles. During the analysis, ttPDF recognizes the active transparencies and the ICC color profiles embedded in the document. You will be alerted with a suggestion. You can decide whether to proceed, because the ICC profiles and objects with transparencies are not considered.